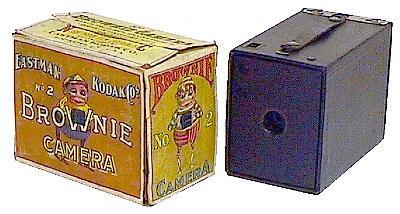 There are accounts that Frank Browne used a Kodak Brownie. I have also read that it could have been a Plaubel 'Baby' Makina - a strut folding camera that used film plates. 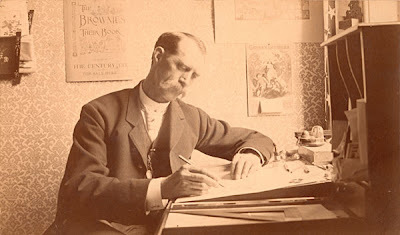 During my visual research I happened across Palmer Cox (April 28, 1840 – July 24, 1924). 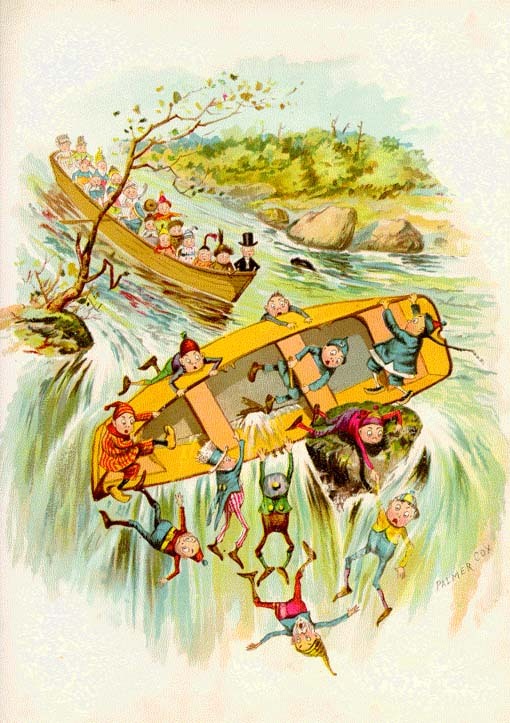 A Canadian illustrator of Scottish descent. 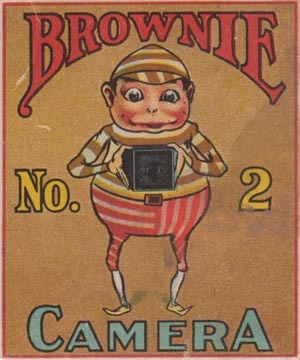 He was responsible for the brand design of the Kodak Brownie. His work was full of elf styled figures nicknamed 'The Brownies' that featured in advertisements for the camera and on the packaging. 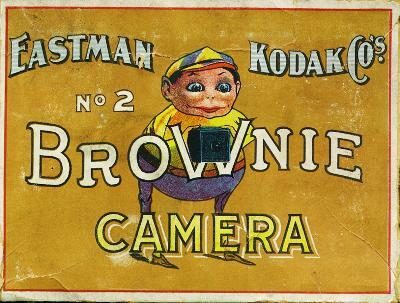 'The Brownies' were to later feature in a series of illustrated books, not associated with the Kodak company. An indication of registered trademarking laws still being in their infancy. 'The Brownies' are fabulous creations and very much so the most iconic series created by Cox. Cox was an active member of Freemason fraternity in Canada, and produced an intriguing series of Brownie characters bearing masonic aspirational aphorisms. Cox hard at work - enjoyable work! 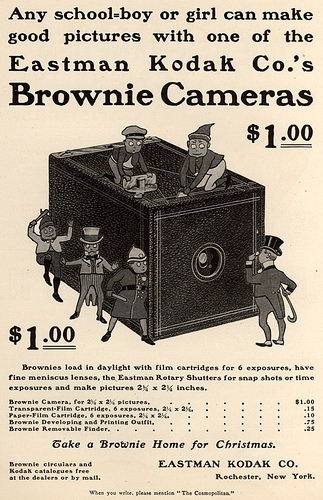 The Brownie was marketed at children as an easy use camera. irony here considering what was to be the fate of the Titanic.